Having a Baby? How About Checking Google for Names First? Apparently, this is what a lot of parents are doing these days. 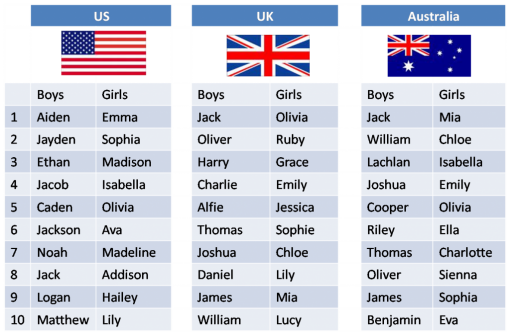 Gone are the days when parents simply pick whatever name they like based on their own criteria – without having to check if other people have the same name. It used to be that people chose names for their babies based on the meaning of the name, or maybe because they have someone in the family with that name. Today, more and more people are looking to Google to make sure that the name they pick for their baby is “safe”. What does safe mean in this case anyway? The New York Times recently ran a story about how a couple checked Google to see if the names they had picked for their baby girl matched “inappropriate” people online. ((NYT)) For example, they did a search on Kalia, only to see scantily clad women come up in the search results. They immediately discarded the name, as they didn’t want their child to have to “wrestle” with a Google identity. The concept is not new, actually. I remember having several conversations with friends about the topic. We even talked about the idea of claiming domains and Facebook IDs for children early on. While you might think that this is an extreme measure, it is something that is worth considering, looking at the future. However, I am not too sure about discarding names simply because there are people with scantily clad photos online bearing the same name. After all, who is to say that after the baby has been born and named that someone will not take on a screen name matching that of the baby’s? Also, this is another reason for second names, or middle names as they are also known. Not being a parent myself – the namings I have had to do are limited to puppies, and that was easy enough, I just let my passion for Song of Ice and Fire shine though – I haven’t had this issue. Still, I do understand the concern that parent may have. On the other hand, the googling thing might be a tad too limiting. What do you think of this recent trend? Is it having foresight or is it overreacting?